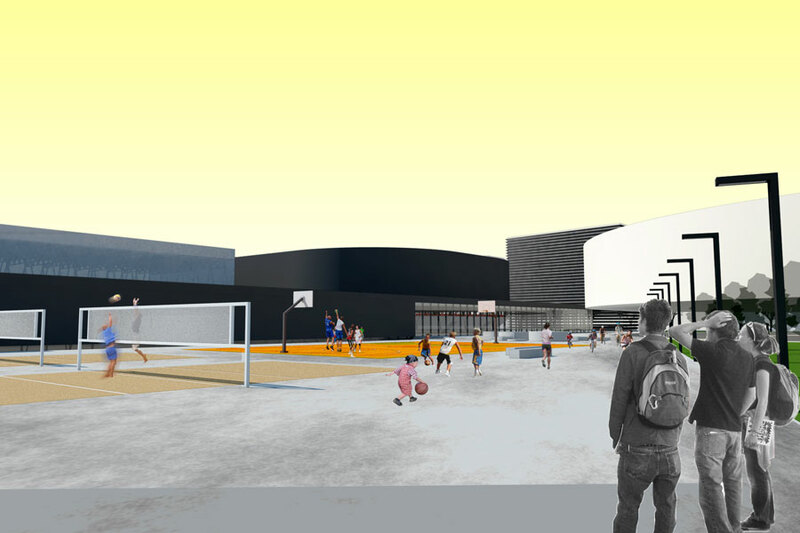 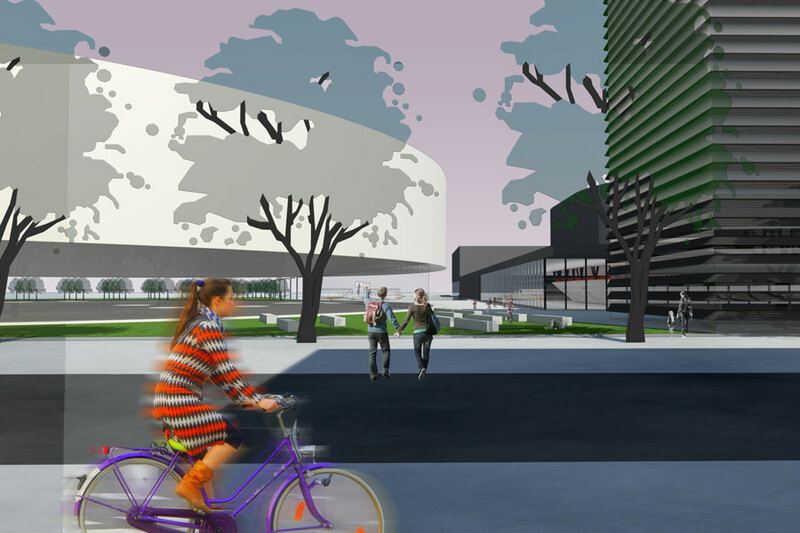 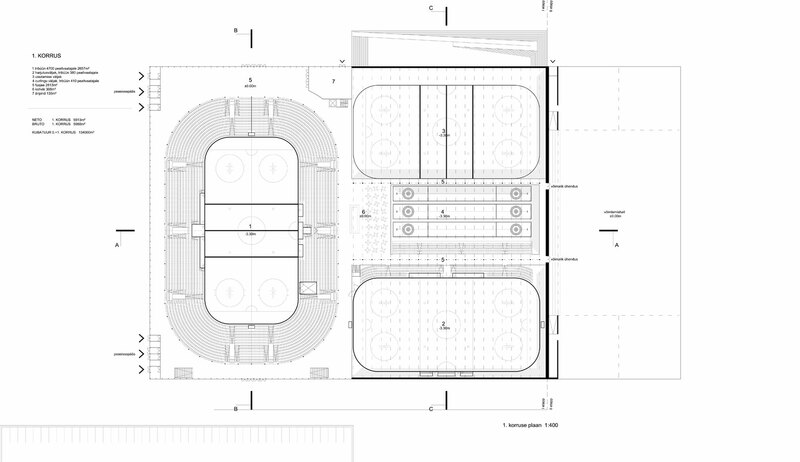 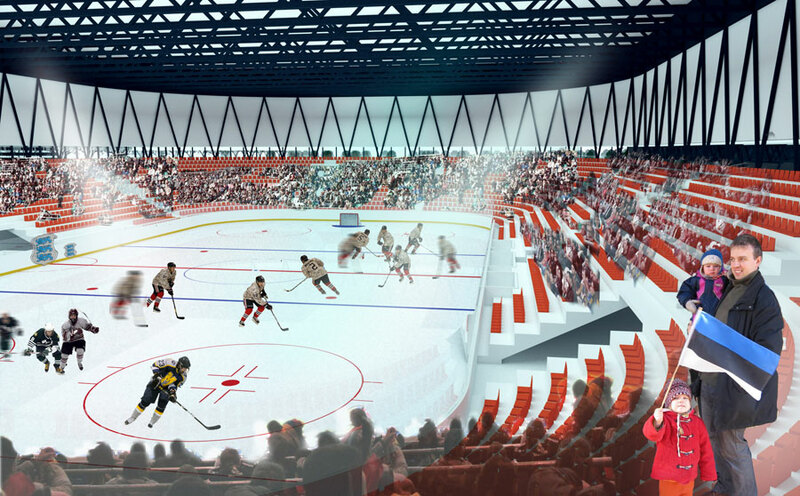 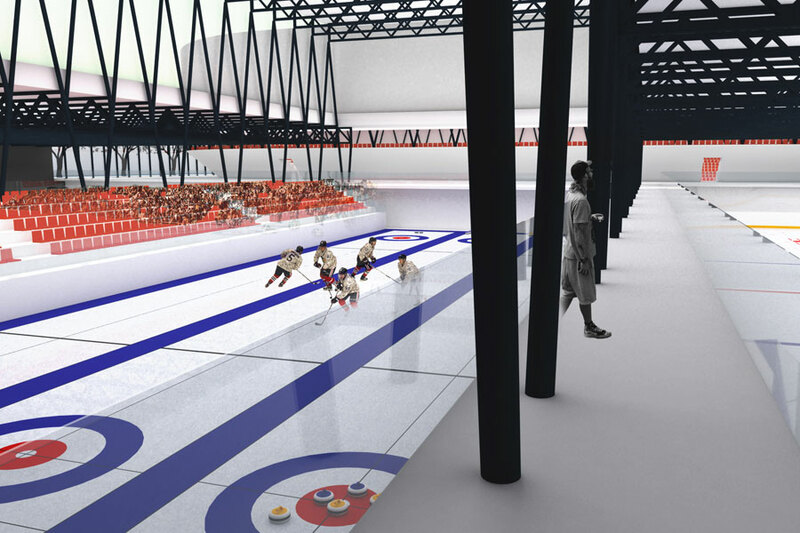 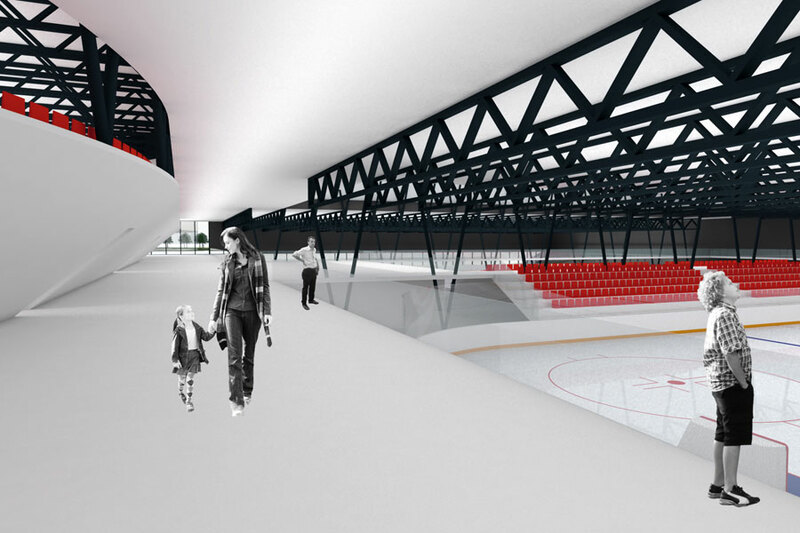 Competition entry for Tondiraba Sports Centre in Tallinn. 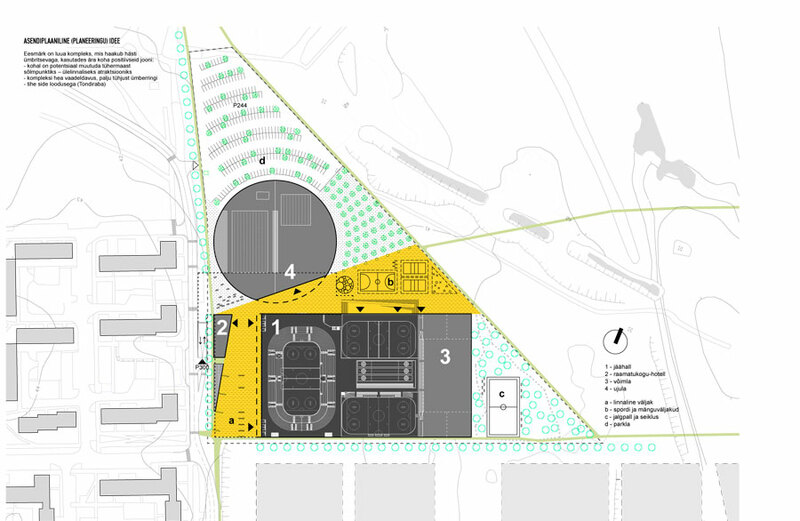 A complex of three characteristic volumes containing ice arena, basketball and gymnastics hall, swimmingpool and hotel. 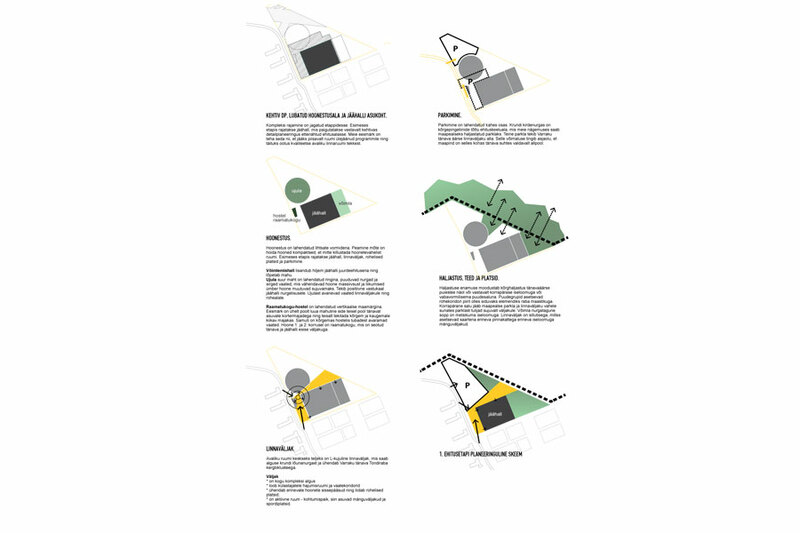 The goal was to create a complex which fits nicely with its surroundings, taking advantage of the positive features of the site. 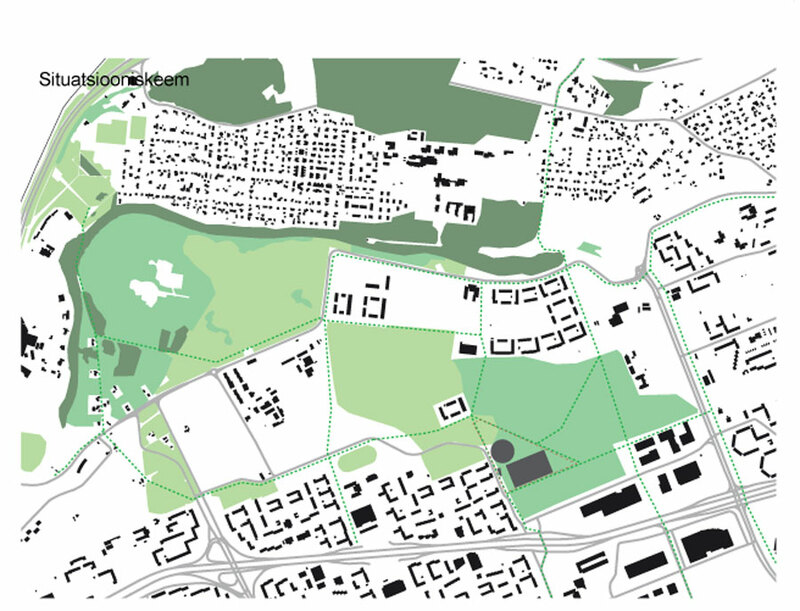 The place, at the moment a wasteland, has a potential to become a local hub.